J.Crew is on a collaboration tear...so much so even we're thinking of collaborating with them (totally untrue). Continuing these affiliations with iconic American brands, J.Crew and Timex have again gotten together and come up with a beautifully simple and classic dive watched named Andros, after the famed barrier reef in the Bahamas. 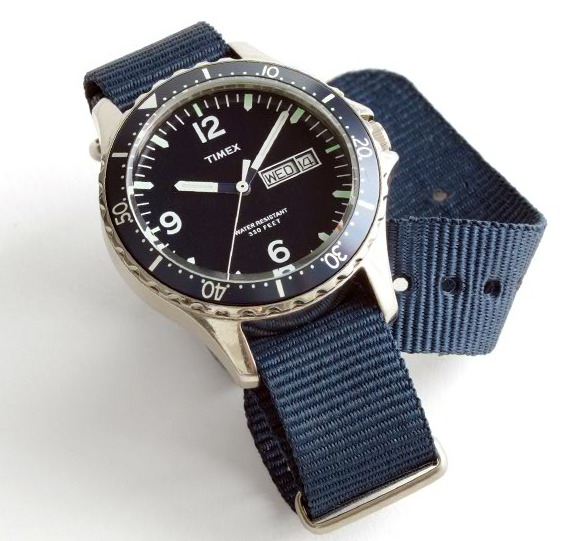 Timeless in its design, this is obviously a watch that should remain in vogue for some time, and being a Timex...you know...takes a licking and keeps on ticking. Available here.